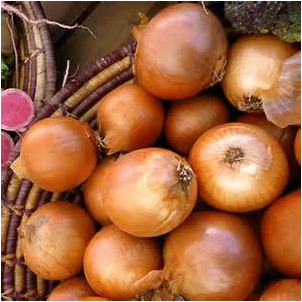 Walla Walla Sweet Onion is a Spanish type onion prized for its sweet flavor. You can eat this onion raw or cooked. It will grow from 6" to 8" tall and from 4" to 6" wide. Plant in full sun and well drained soil. Harvest Walla Walla Sweet Onion in about 112 days. Does not store well, so use soon after harvesting. Onion Sets Onion sets are bulbs (sets) that are planted that will mature into an onion plant. These are available by the ounce. Yellow Ebenezer Onion is a sweet onion that will produce onions up to 5" in width. They will last for up to 4 months in storage. These onion plants will grow from 6" to 12" tall and 3" to 5" wide. Plant in full sun and well drained soil. Yellow Ebenezer Onion stores well. Matures in about 85 days. 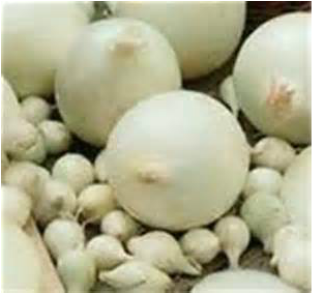 White Ebenezer Onion is a sweet onion that will produce onions up to 5" in width. They will last for up to 4 months in storage. These onion plants will grow from 6" to 12" tall and 3" to 5" wide. Plant in full sun and well drained soil. White Ebenezer Onion stores well. Matures in about 85 days. 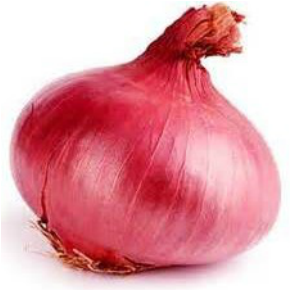 Red Ebenezer Onion is a sweet onion that will produce onions up to 5" in width. They will last for up to 4 months in storage. These onion plants will grow from 6" to 12" tall and 3" to 5" wide. Plant in full sun and well drained soil. Red Ebenezer Onion stores well. Matures in about 85 days.